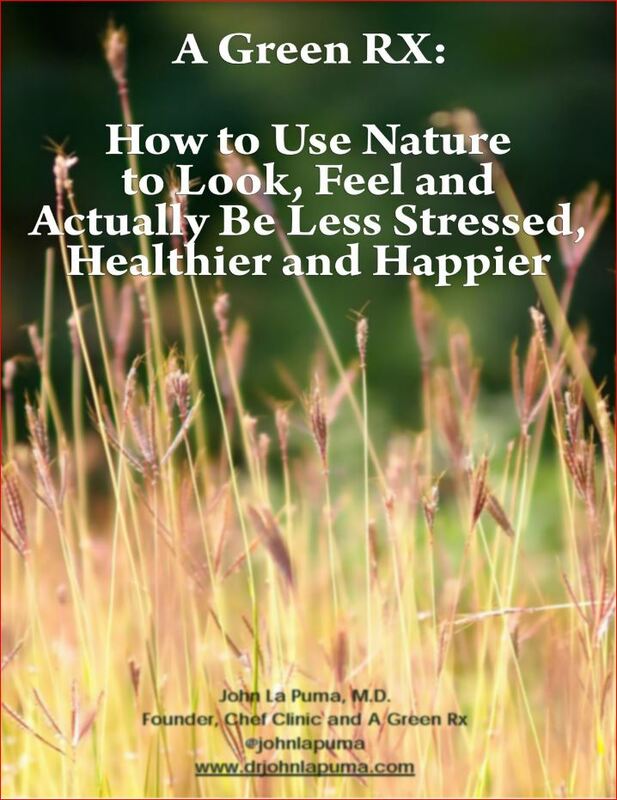 Subscribe with Dr. John La Puma to get involved. Join Dr La Puma’s Food and Nature as Medicine Community today! We’ll send you healthy recipes, Weekly Wows, new videos and more to help you learn how to reduce stress, use food-as-medicine and enjoy nature therapy too! ...and then look for a confirmation link sent to your email. When you join, you’ll receive a free download (pdf!) 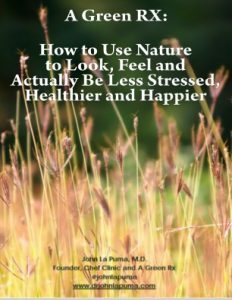 of Dr. La Puma’s 2019 special report- A Green Rx: How to Use Nature to Look, Feel and Actually Be Less Stressed, Healthier and Happier.